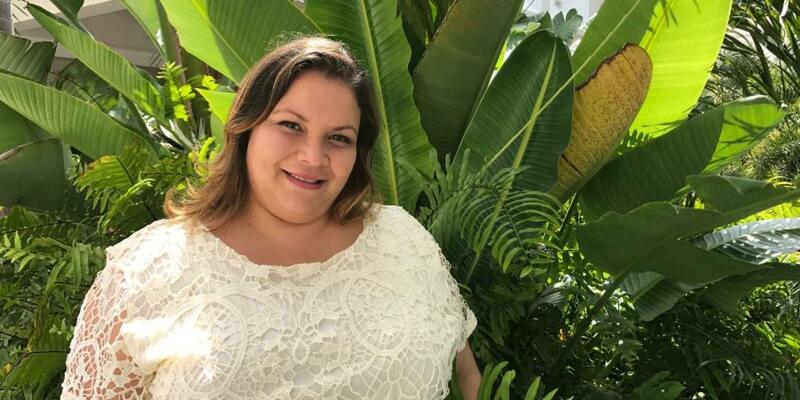 Maria de la Paz Rodriguez creates a praying classroom in Puerto Rico. Little Nancy raised her hand when teacher Maria de la Paz Rodriguez asked whether any first graders had a prayer request at the Seventh-day Adventist school in Puerto Rico. “We can include your dog in our prayer today,” Maria said. Maria also prayed for the dog at the end of school when Nancy and the other children were ready to go home. Every morning for two weeks, Nancy asked the teacher to pray for her dog. Finally, Maria couldn’t be quiet any longer. She was so curious to find out what was happening with the dog. “What’s going on with your dog?” Maria asked. “Oh, Teacher, he’s died,” Nancy said, sadly. The teacher didn’t want Nancy to be sad, but she didn’t think that praying for a dead dog was the answer. She suggested that Nancy change her prayer a little bit. Maria wasn’t upset that Nancy wanted to pray for her dead dog. In fact, she said in an interview that she was very happy because she saw that Nancy believes in the power of prayer. “This was one of the ways that I could teach my students the power of prayer,” she said. Maria, 38, has taught math and reading to first graders for 14 years, but she only recently started to teach the children to pray. She turned her first-grade classroom, where many students come from non-Adventist homes, into a special praying classroom after hearing a preacher read Colossians 1:25, which says, “I became a minister according to the stewardship from God which was given to me for you” (NKJV). The preacher said this verse meant that every teacher should be a minister in his or her classroom. Maria had never thought about being a minister in a classroom, and she prayed to God for help. Then she told the first graders and their parents that her classroom was no longer an ordinary classroom. Instead of praying only at the beginning of school, she would now pray at the end, too. She made the special piece of paper for prayers and put it on the chalkboard. The children and the parents liked the new praying classroom. Some parents immediately began to text their prayer requests to Maria by cellphone. Soon the parents asked Maria if she could meet and pray with them, too. The parents of three families are now preparing for baptism. Maria said prayer is now an important part of first grade, and they will pray for anything — even a dead dog. 1,400 Baptized During Groundbreaking Evangelistic Drive in Philippines Adventist World Radio and 49 Japanese presenters get big results. Mistaken Enrollment at Adventist College Leads to Baptism in Japan Yasuki Aoki, who had never met a Christian, was shocked when he was called to evening worship.